INSB NORDIC AB, Inc is one of the regional offices of INSB Class Society which is a Greek Organization headquaartered in Piraeus - Greece. 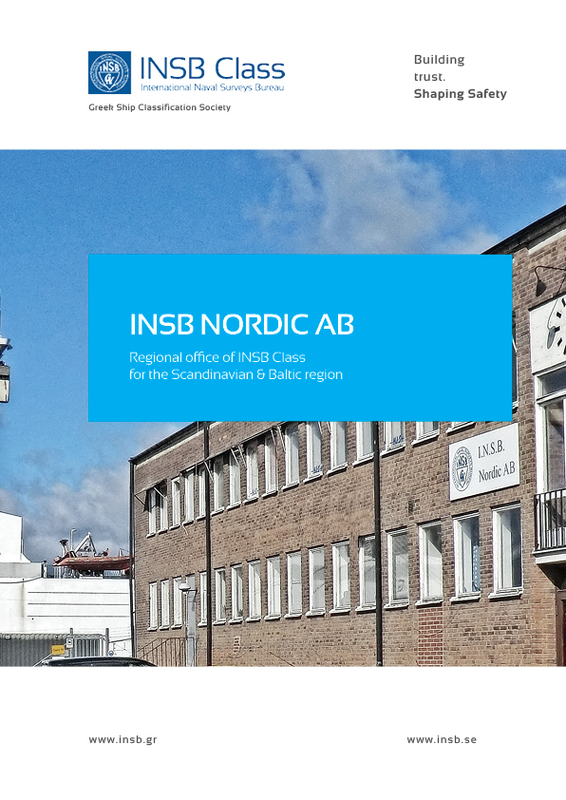 INSB NORDIC AB office in Norrkoping, Sweden is directed by Captain Frank Tourneur who holds an accumulated marine experience of many years, with the goal to intensify INSB Class operations and extent service coverage for Scandinavian and Baltic Sea area together with his resident team of exclusive surveyors. We can also assist you in most other places on the Globe. Please contact us. Our services offered are to ensure that irrespective to your fleet configuration or trading pattern, applicable safety standards are met and maintained. Ship classification scheme including periodic surveys for maintenance of class. Surveys & supervision on site for ships during construction. Technical interpretation and consultancy services. Surveys of Damage , Modification or repairs. Statutory surveys & certification on behalf of delegating Flag States. Engineering studies, plan approval, technical review & calculations services. We are looking forward to being your new preferred Classification Society.